The home boasts two bedrooms, one bathroom, laundry and new fully equipped kitchen with state of the art stainless steel appliances. The living space with HD TV and free WIFI. Each of the bedrooms are fitted with luxurious linens, freshly cleaned and pressed, the bathroom with plush bath towels and locally made soaps. The back garden has just been fully renovated into a wonderful private back garden. Watch for the pictures of the back garden coming this spring! Toronto Short Term Rentals is Property Management Firm with Location in Toronto Niagara-on-the-Lake, Jordan and Niagara Falls Ontario, offering premier private home vacation rentals. Our full service team is dedicated to meeting the needs of our guest from all over the world. 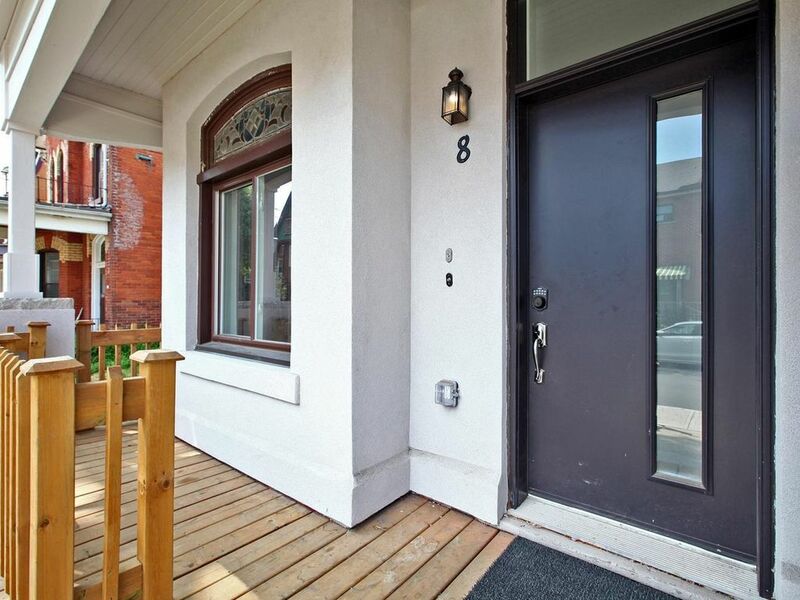 Whether you are one of our many repeat guests or visiting for the first time, the team at Toronto Short Term Rental Property Management Corp. is here to make your stay memorable. Your own concierge - We meet you at the home, show you how things work, provide any needed directions, provide restaurant/winery suggestions and then let you get on with your stay. If you need anything after that, an experienced team member is only a phone call away! Our process for check-in and check-out is seamless. Book your next vacation with us! Exceeding Guest Expectations, one stay at a time! We arrived to the unit with poor communication from management only to find it in an extremely sketchy part of town, not safe for female travelers! Direct neighbor was very creepy we didn’t feel safe at we actually left a day early and of course were not refunded by the management! Stay away do not book here! The place itself is nothing as it seems through the pictures! We will not be back! All I can say is three declined credit cards resulting in a reservation cancellation in February with 5 notifications prior to cancelling and the guest showed up unexpected and we accommodated her after two more declined credit card attempts.. The guest is not very good at communication. I do not understand why HomeAway in Texas charged me for a Service Fee of $81.00 two day after I signed a contract with Niagara on the Lake Properties. ????? Can you kindly answer why? Hassan h abu shawareb A.